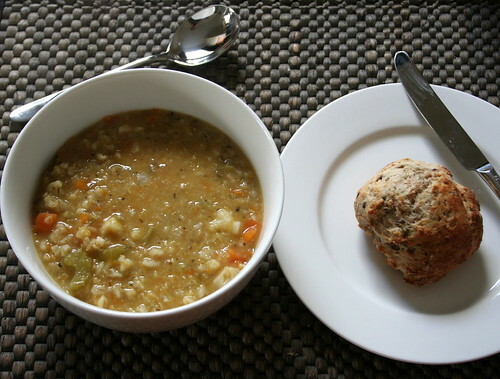 Delicious thick, hearty barley and lentil soup from this recipe, accompanied by homemade crusty rolls. The perfect antidote to wild winter weather outside. I've been meaning to make some soup for "school lunches" the last couple of weekends. Maybe I'll get this one done on the weekend- it looks so yummy! Yum! I'm loving the recipes you've been putting up recently.